Today we voted for the President of the United States! 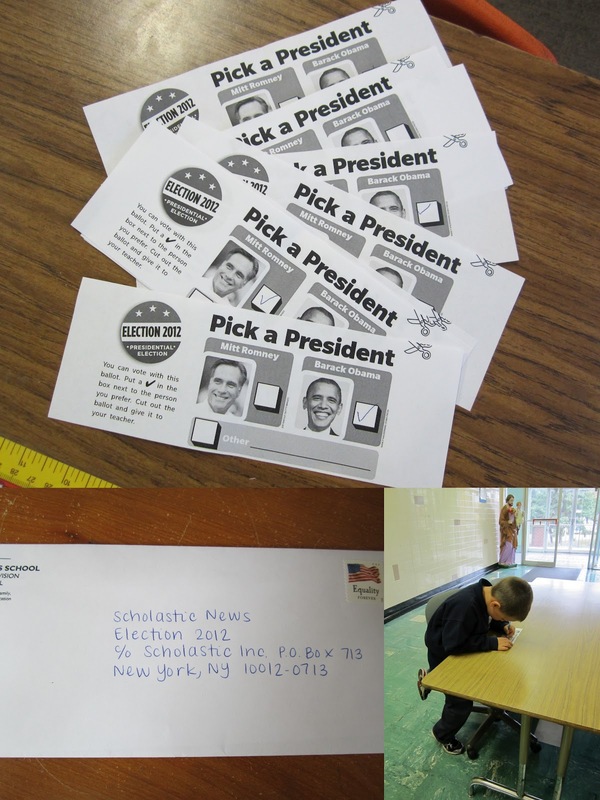 Each year, Scholastic hosts a Presidential election a month prior to Election Day. Students around the country, from Kindergarten through twelfth grades, can fill out a ballot. Teachers collect the ballots and submit them to Scholastic, where they count up the votes and declare a winner. The interesting thing about the Scholastic election is that it has reflected the results of the actual election in every case except for two! We briefly discussed voting today and then, one-by-one, we went out into the hall to cast our vote. Everyone took the vote VERY seriously and were excited to participate in the political process. After the vote, we all got “I Voted!” stickers, just like adults! Did your class vote for the next President? That is awesome! Did Scholastic mail you those ballots or did you print them out? I'd like to use them in my class! Wait, Who is Running for President Again?